Can betta fish live with guppies? There is no short answer to this question. But the answer does lean closer towards YES. However, there are so many circumstances that need to be considered. Such as how aggressive or placid your betta is, how big your tank is, and what other fish you have in your tank. With that being said, here’s a guide which will help you decide whether you should introduce guppies to your betta. 1 Can Betta Fish Live With Guppies? 7 What Do Guppies Eat? 8 What To Do If Guppies Are Eating Your Bettas Food? 9 What Part Of The Tank Do Guppies Occupy? 10 How Many Guppies Can You Keep With Your Betta? 11 Do Guppies Nip Fins? 13 Do You Have A Better Understanding? Here are a few things to consider before deciding whether to introduce guppies to your tank. When you plan on adding different species of fish to a tank you need to make sure that they can survive in the same conditions. Guppies come from South America and are found in rivers and lakes, whereas bettas are found in rice paddies and streams in South East Asia. On paper, it seems like they wouldn’t survive in the same conditions. But, luckily they do. Guppies need a pH of 6.8-7.8 and a temperature between 74-82°F to thrive. Bettas need a pH of 7 and a temperature between 78-80°F to thrive. As you can see guppies and bettas are able to live in the same conditions together. The gender of your fish is also going to determine the likelihood that they can live together. As you know male bettas are extremely aggressive. And while female bettas aren’t as bad, that doesn’t mean they can’t be hostile. Sometimes they can be worse because they’re faster than the males. This is the worst combination you can have in your tank. Male guppies are the ones that are brightly colored with flowing tails. Both things that trigger aggression and territorial instinct in bettas. Putting a male guppy and male betta together is going to spell trouble, and most likely result in the death of your guppies. Female guppies look a lot duller than male guppies. So it’s a possibility that you could add them to the tank with your betta. 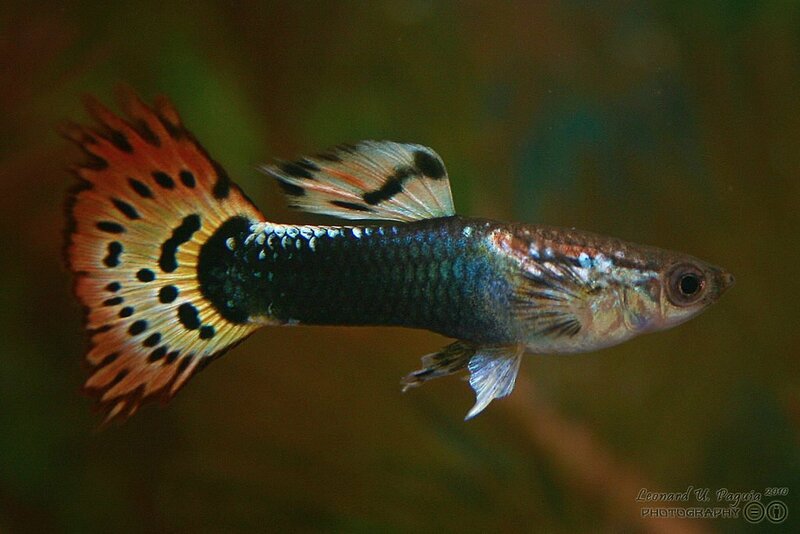 However, if you have a female guppy that’s too colorful then the end result could also be bad. So while it’s possible to put female guppies with a male betta, caution is still advised. Female bettas aren’t as aggressive as males, so you’d think it would be okay to put male guppies in with them. However, for the most part, you should definitely avoid this. Male guppies often mistake female bettas for guppies. And try to breed with them. Obviously, the betta won’t be pleased with this and may end up attacking your guppy. This is the best combination of guppies and bettas you can have in your tank. While female bettas are still aggressive, they won’t be as aggressive as males. And female guppies are less likely to trigger aggression in female bettas. So if you’re desperate to house bettas and guppies together this is your best bet. However, one thing to watch out for is that bettas may mistake a female guppy as a “sorority sister”. When this happens female bettas may bully your guppy to establish a pecking order. As you know already, bettas need a variety of food to survive. On top of fish flakes or pellets, you should also be feeding them meat as well. And guppies have the same requirements. So if you plan on feeding your betta mosquito larvae, daphnia or bloodworms then your guppy will eat them too! You don’t need to feed guppies too much either, up to three times a day is adequate. But if you wanted to keep their feeding schedule in time with your bettas, then two times a day will work too. And just like with bettas, every once in a while it’s okay for guppies to go a day without food. What To Do If Guppies Are Eating Your Bettas Food? I previously mentioned that bettas and guppies eat the same food. The difference is while bettas NEED to have meat in their diet, it’s optional for guppies. So if you notice that your guppies are eating all the live food then you’re going to have to do something about it. There are two methods you can try. The first thing you can do is try to feed your betta at one end of a tank, and then feed your guppies at the other end. You should drip-feed food in both ends a little bit at a time. Once your betta has eaten enough then you can pour everything else in. The second thing you can do is try to use a net to keep your guppies away from your betta when he’s feeding. What Part Of The Tank Do Guppies Occupy? Guppies often like to swim in the middle of the tank and around the top. This can sometimes cause problems if your guppies start swimming into your bettas territory. However, once your betta has established which area is his, it is less likely guppies will swim there (unless there’s food). How Many Guppies Can You Keep With Your Betta? If you plan on keeping fish with your betta it’s important that your tank is big enough to house both. As a rule of thumb, you want to have one gallon of water for every fish in your tank. However, as you’ll also be housing a betta with your guppies you’re going to want a bit of extra room. Personally, I wouldn’t go any smaller than a 10-gallon tank that houses 1 betta and 3 guppies. And with every 5 gallons, I’d add an additional 3 guppies. This is going to be beneficial because it will make sure your fish have plenty of room to stay out of each other’s ways. When you add guppies to your tank you shouldn’t just worry about your betta attacking them. You should also think about whether they’re going to attack your betta. Fin rot (A disease that eats away the fins of your fish, leading to death if not treated) is more occurrent in fish that have their fins nipped. This is due to stress and open sores. 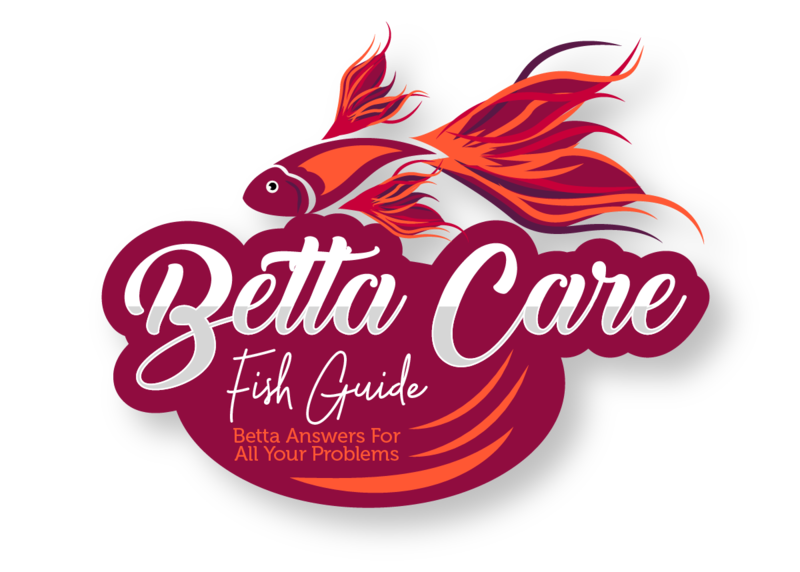 If you’re worried that your betta is suffering from fin rot already, then the good news is that you can treat it. Check out this article to find out how to treat it, prevent it, and the other most common causes! And remember, male guppies are territorial too, mostly within their own species. However, it’s not uncommon for them to attack and nip other species as well. Especially if they have long flowing tales and are brightly colored. This is another reason why you should consider only adding female guppies to your tank. 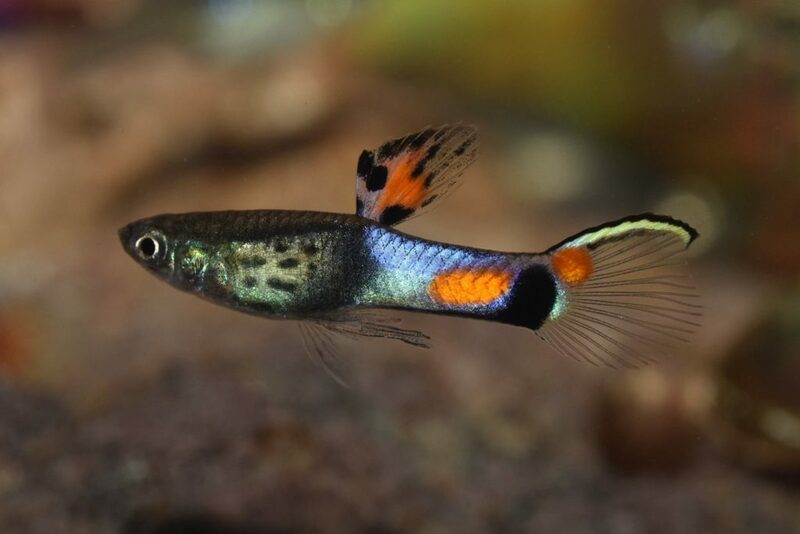 Aggression and territorial instinct in female guppies is extremely rare and the chances of them nipping and fighting are low. Before adding bettas and guppies together you should have a tank spare or a tank divider which you can use to keep your fish separated if something goes wrong. Make sure that if you do plan on housing male guppies with male bettas that you try to keep the guppies as plain as possible. Sometimes it can be better to add a betta fish after you’ve added all the other fish. This way it’s not going to feel like it’s territory is being threatened, because it won’t have any territory yet. Do You Have A Better Understanding? Have you found the information on this page informative? If so, then you should have a better understanding of when it’s acceptable to add guppies to your tank, and when to avoid them. And just to reiterate here are some of the main points. The biggest factor that is going to decide whether guppies can live in your tank is your betta. If your betta has a good temperament then it may not mind living with guppies (male or female). However, it’s so important to remember that bettas do tend to be aggressive and you should have a fail safe just in case. You should try to avoid using guppies that look similar to male bettas, and if possible try to house female guppies with female bettas. If you plan on adding guppies to your tank make sure you use a tank with plenty of space. I personally wouldn’t go any smaller than a 10-gallon tank. And to be safe you should have 5 gallons of water extra for every 3 guppies. And most importantly, there are plenty of times bettas and guppies have coexisted in tanks together. But this doesn’t mean your betta will do the same. You have to be fully prepared for any betta fish to turn on any other fish because it’s in their nature. If you liked this article leave a comment in the description below or any questions you may have. Can Bettas Live With Tetras? You’ll find out about 5 different tetras that can live with your betta as well as 3 that you should definitely avoid!